E2 non-immigrant visas offer a unique opportunity for Spanish investors to immigrate to the United States to direct and develop a commercial enterprise or business. After making a substantial investment in a business, an investor, along with his or her dependents, may be granted a visa to live in the U.S. to run the business. While there are stringent requirements that must be met in order to qualify for this visa, a skilled E2 visa attorney for Spanish nationals, such as the lawyers of Colombo & Hurd, can assist you with the process. An E2 visa is a U.S. immigrant visa available to investors and certain supervisory, executive and highly skilled employees seeking to work for a qualified E2 business. To qualify for an E2 visa, an applicant must be a national of a country that has a commerce and navigation treaty with the United States. 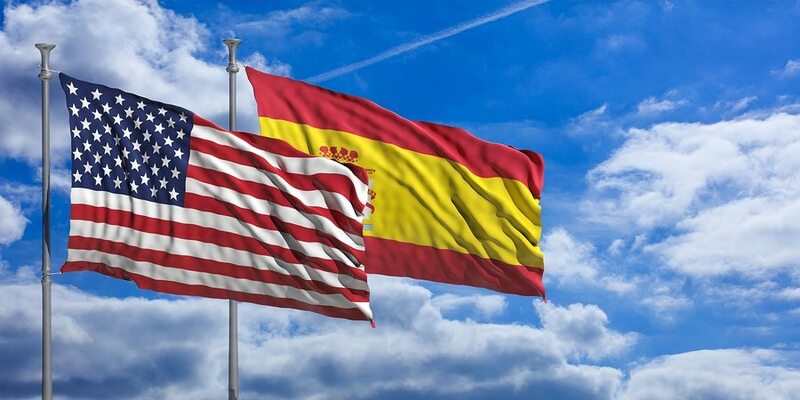 Spain has such a treaty with the U.S., so Spanish nationals are able to obtain E2 visas. The other requirements for an E2 visa are that the applicant make a “substantial” investment in a business or commercial enterprise, and that this investment be in a real, non-marginal operating enterprise. The investment cannot be speculative, and it has to generate more income than just enough to support the investor and his or her family. The applicant must also have earned the funds legally, have control of the funds, and must put the funds at risk at the time of application. Finally, the applicant must be coming to the United States to direct and develop the enterprise, or if he or she is not the principal investor, to work as a supervisory, executive or highly specialized employee. What Is a Substantial Investment for an E2 Investment? One of the main requirements of an E2 visa is making a substantial investment in a commercial enterprise or business in the United States. Yet American immigration law does not provide a number amount for exactly how much must be invested. Instead, there are guidelines that can help investors (together with experienced E2 visa attorneys) determine whether their investment will qualify. The investment must be (1) sufficient to guarantee that the investor’s financial commitment is adequate; (2) of an amount sufficient to make the successful development of the business possible; and (3) substantial in relationship to the total purchase price of an existing business or the cost of establishing a new business. Ultimately, the amount of an investment that will be deemed “substantial” under these guidelines will change based on the type and value of the business involved. An investment must be enough to allow the applicant to develop the business and to control the direction and goals of the enterprise. The actual dollar amount will change depending on these factors. Applications for E2 visas are filed at the U.S. Embassy in Madrid. The application itself, along with supporting documentation, must be filed by mailing hard copies to the Consulate via postal or courier service. After filing, an applicant can schedule an interview using the online appointment service. The interview should be scheduled at least two weeks after filing the application; if the application is incomplete or does not comply with the Consulate’s requirements, it will be returned, and the interview may be postponed. The Consulate in Madrid limits applications and supporting documentation to no more than 50 pages, exclusive of immigration forms, civil documents, passport bio page and dividers. The application must contain certain information, such as the required immigration forms, a cover letter summarizing the E2 visa requirements and how the applicant fulfills them, civil documents showing the relationship between dependent(s) and the investor, proof of nationality of the investor, business ownership documents, information about the investment, proof that the business is not marginal and documentation that the business is a real and operating commercial enterprise. The Orlando and Miami immigration lawyers of Colombo & Hurd have successfully represented hundreds of clients in E2 visa applications. While past success does not guarantee future outcomes, our experience with these types of investor visas gives us an advantage in understanding how to present these applications to consulates around the world. Our top-notch E2 visa attorneys for Spanish Nationals are dedicated to helping our clients obtain the best possible results. If you are interested in an E2 visa, contact us online, or contact our Orlando office at (407) 478-1111 or our Miami office at (305) 455-0590 to schedule an initial consultation.